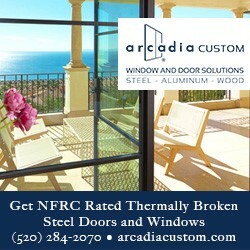 Arcadia Custom designs and creates fine window and door products for the luxury residential market. Our product quality and innovation incorporate our ever-expanding range of materials, styles and finishes for the design flexibility needed to elevate the possibilities of modern living. Our focus is custom Thermally-broken Steel, Thermally-broken Aluminum and Wood products. With state-of-the-art manufacturing facilities on the West coast, Southwest, and East Coast; along with a national network of professional distributors, Arcadia has the resources and capabilities to ensure your project is a success.